Horrific sarin gas deaths of babies among the Syrian family members caused universal consternation as it was reported the first week of April 2017. The writhing pain of the victims in these images were so revolting that many of the pictures were barred from public viewing by the mass media. Understandable! What the scenes evoked were memories of the World War II German death camps, which nauseated the entire world more than a half-century ago. 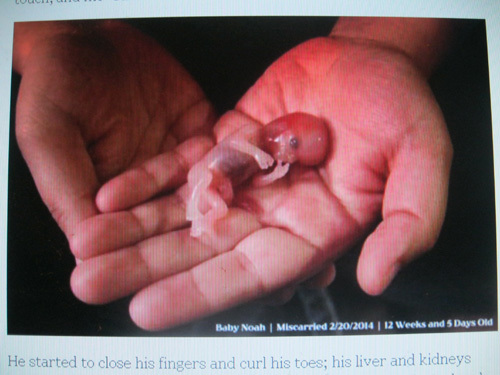 On the same day of the release of the Syrian scenes, in these United States at Planned Parenthood's abortion "clinics," the lives of well over a thousand babies in the womb were terminated by medical doctors in their "health care" facilities. Now, in a different era and across an ocean divide, there still is a common theme: the willful destruction of innocent human beings. There is a time-warp – but a horrible thought is also staring us in the face: We are now they! As spring arrives, Boston's tourists are attracted to the city's popular 2.5 mile Freedom Trail. Starting at the Boston Common, which in 1775 housed the occupying British redcoats, you have to ponder the enormous and colorful history of this very ground. While the overall result of these historical events produced much good, unfortunately some of the happenings did not. On what is the nation's oldest public park, not only were criminals hanged here publicly, but also there were suspected witches and Quakers, as well. Obviously, these people could not be considered an evil lot. Innocents paid the price of not being wanted by those in power. Leaving the Common, the first stop is the Granary burial ground. 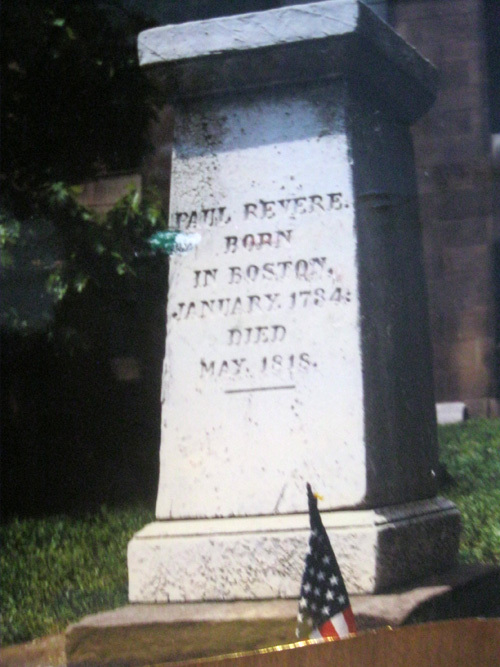 Paul Revere's obelisk stone can't help but set one thinking about this man and his famous ride. As you meander through the yard, it becomes difficult, however, not to grasp the whole scope of our Revolutionary history as 3 signers of the Declaration of Independence, John Adams, John Hancock and Robert Paine are entombed in this soil. Less well known by name are victims of the Boston Massacre, including Crispus Attucks, an African- American, who may have been the first casualty of the War of Independence. It is difficult not to hold your breath at the scope of history here and on the 16 official sites along the entire Freedom Trail. The line markers eventually lead one and all to Bunker Hill, its monument and that famous old warrior, the USS Constitution. Among the monuments and markers for over 5000 Bostonians in Granary Park is the Infants Tomb where several hundred children have been interred. There obviously is a relative scarcity of medical records to study the childhood diseases which led to their deaths. Nor do we know the ages of the infants, or how many may not have survived his or her full term in utero with the mother quite possibly having miscarried. Viewing a child who was unable to complete his or her necessary gestational period in the womb leaves one with such a helpless feeling. Aware of the devotion of Boston's early families to their children, it is very easy to ponder what this spot of ground represents. Medicine, as we know, has made enormous strides in stamping out so many of the childhood diseases, and this area is replete with medical research centers, as well as the world-famous Boston Childrens Hospital. While contemplating all that has transpired over these centuries, it is utterly impossible to grasp how today's highly educated society has descended to allow what is happening every working day on Commonwealth Avenue at number 1055. However, it must peaceably come to an end. The common element in the Syrian gas attack, the gas chambers of Auschwitz, and the business operation at 1055 Commonwealth Ave, is that innocent human beings are being willfully destroyed. 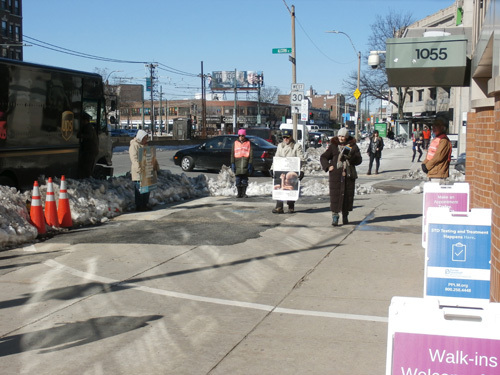 Just another working day at Planned Parenthood's Auschwitz Boston. We must accent the word human, and accept the fact that this is not a dog pound. If it were, it would not last a full day. The distinguishing characteristic in the events noted is that the mass media, which is supposed to be comprised of Journalists, are air-brushing the humanity of the unborn victims. While PP's death-dealing activity is a prime case study for Journalism students at nearby Boston University, they and the school turn a blind eye. The fact that 20-35 pre-born children are daily wrenched from the safety of the womb by being scorched, dissected or homogenized by a medical doctor within the mis-named "Planned Parenthood " is ignored, while the Right To Life protesters outside are being cast as the villains. History may not be able to allow this nation an escape from this optic distortion and egregious slaughter of innocents. College students, tourists, tradesmen, and people in all walks of life go by, as peaceful protesters – rain, snow, or sunshine – exercise their hard-fought First Amendment right to walk on the pavement and display objection to the killing chamber at this address. It took a 9-0 U.S. Supreme Court decision (McCullen v Coakley) to guarantee this right within a line painted in a 35-ft perimeter of the front door. This victory by Right To Lifers was a great example of perseverance against another array of falsehoods by the abortion industry and their allies. The main stream media (MCM) and academia, with the last election casting more light on them, cannot help but step back, remove the blinders and clear their vision. Both now have public credibility that has been plummeting, and it is of their own doing. To Christians Easter is all about life – life everlasting. In reality, it is best known as Resurrection Sunday, It is about what exists after this earthly life is finished. Auschwitz Boston also represents a resurrection, sadly of ideas – the most vile, insidious, callous array of thoughts as to human life's lack of intrinsic value. To further accent Boston elite's almost unbelievable distortion of values, on Easter Sunday April 16, 2017, the mainstay Boston Globe listed among its on-line headlines the following news, "April, the Giraffe, an internet star, Gives Birth, Finally." The headlines carried not a word about the celebration of Resurrection Sunday around the world, or the horrible persecution and slaughter of Christians throughout the Middle East, birthplace of the world's largest religion. On reflection, perhaps the giving birth by "a giraffe who became an internet sensation after her pregnancy" had a subliminal message about their need to suppress awareness of our contemporary holocaust. One million pregnancies of humans each year in these United States are not allowed to be concluded and given birth "finally," as was this "internet sensation." Where are all the scholars from academia and other media who absorb this so-called "news" without challenging their distortion of the world we live in? 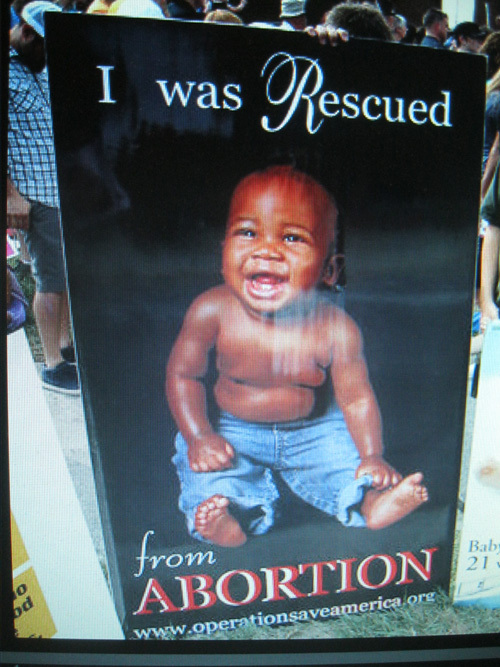 Sadly, only a few people stop to ask those protesting, about the 7000 pregnancies terminated annually at Auschwitz Boston under the label of "health care." More often than not, those inquiring and seeking in-depth data are foreign visitors to these shores. The current mayor of the City of Boston is straight from biblical times. His persona bounces off the pages of the Good Book, especially when churches and their congregants are celebrating the Passion. Roman authorities placed the retention of power above all, life or death alternatives notwithstanding. Mayor Martin "Marty" Walsh does the same. Marty Walsh was the victor in a 2013 runoff election after a host of aspirants were whittled down to two. He pandered to the power groups in the city including wealthy real estate interests, powerful labor unions, an array of homosexual/lesbian organizations, and Planned Parenthood's abortion lobby. An irony was that another former legislator, Martha "Marty" Walz had become the CEO of The Planned Parenthood Federation of Massachusetts. She was thrilled with the connection. Admittedly never a good student, the new mayor had gone to work as a laborer in his youth and eventually rose to President of Local 223. Active in political organizing, he won a seat in the Massachusetts Legislature after a special election in 1997. Insiders in the legislature got to know him as one who surveys every situation and basically has no scruples. An admitted former heavy-drinking alcoholic he once, after a barroom fight, took a bullet in the leg, but he claims now not to have taken a drink since April of 1995. One political wag said that since his election as Mayor of Boston, Marty Walsh has given the term "union thug" respectability in Democrat political circles. 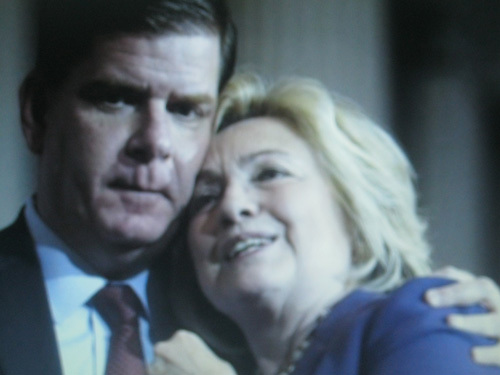 Marty Walsh's embrace of Hillary Clinton during her visit to the city while campaigning in 2016 for the Presidency was no surprise. They even looked like lovebirds. Although not on a level with Bill and Hillary, Marty and live-in girlfriend Lorrie Higgins have a checkered past as well. All have abandoned the concept of traditional marriage and the need to protect human life from its very beginning in the womb to Its natural end. They hold power, however, and it is being used to bring death to innocent members of our family. With the Republican push to end the requirement that taxpayers' dollars go to organizations which perform abortions, Marty Walsh has stated that he would push to make Boston a "sanctuary city" for abortion "clinics." Auschwitz Boston would have competition such as the one in a wealthy suburb which advertises, "state of the art surgical procedures." Understandably, they used "state of the art," rather than the in vogue expression "cutting edge." The Boston area is suffering from a curable malignancy. Tens of thousands of innocent humans are being brutally destroyed, and It is far beyond the time for it to end. "Safe spaces" are being called for on college campuses today. It is a sign of the times. But it is also the sign of a severe Illness: the disjointed view of right and wrong -and where it can be found. The mayor of Boston is calling for the city to have more "safe spaces" for abortion facilities. He wants to continue this American Holocaust of our fellow humans. The emaciated bodies of the WW II Auschwitz survivors and the writhing Syrian sarin gas victims evoked what is natural: utter revulsion. Society itself has been rightly charged with being remiss. Work never made the inhabitants free from Auschwitz horrors, as the entrance arch promised. Good people did – a worldwide effort. We opened for them "a freedom trail." And it will only be the seared consciences of today's good citizens, which will end the willful destruction of our innocent brothers and sisters inside Auschwitz Boston – located in full view at 1055 Commonwealth Avenue. 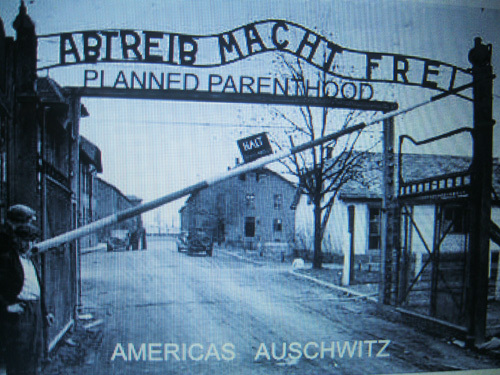 Obviously, Auschwitz and Planned Parenthood are linked. There are common threads: the goal of holding and enhancing their power in our society, and disdain for the worth of helpless human beings. Society has to bring all of this to a halt – and rescue the innocent.